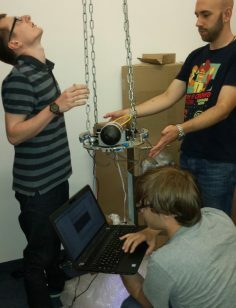 After a nice outdoor meeting, we performed our first complete system test yesterday. The results were convincing, although the mounting was not perfect. The control algorithm worked fine and the system reacted correctly. 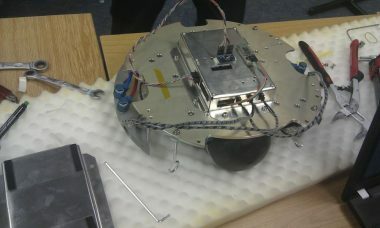 Every time we spun it up, the algorithm detected the data from the gyros and triggered the valves. So the compressed air (we have a compressor to test the system with compressed air, which is cheaper) flowed through the nozzles and, because of the principle of actio-reactio, the whole system slowed down.